110 Creations: A Sewist's Notebook+Sewist pin giveaway! 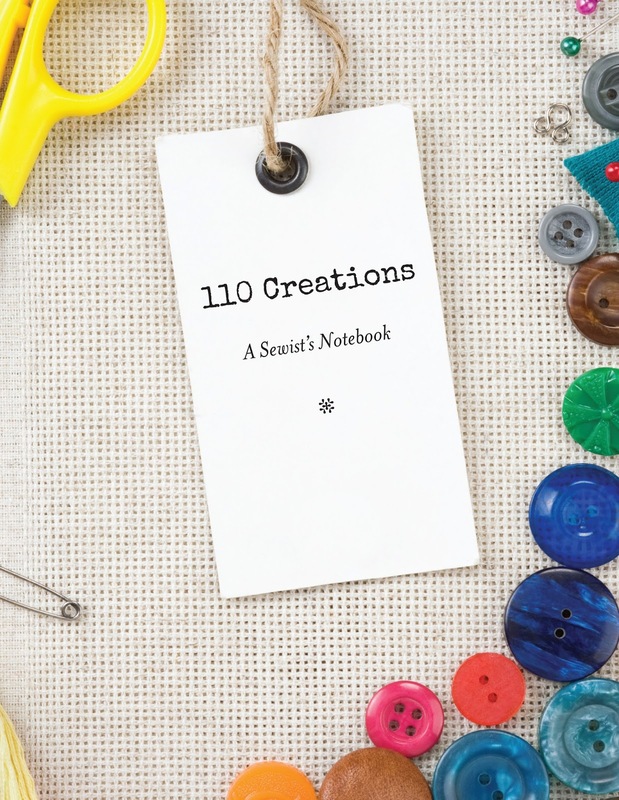 You might have noticed a few awesome products in the sewing world lately, and one of them certainly caught my eye. 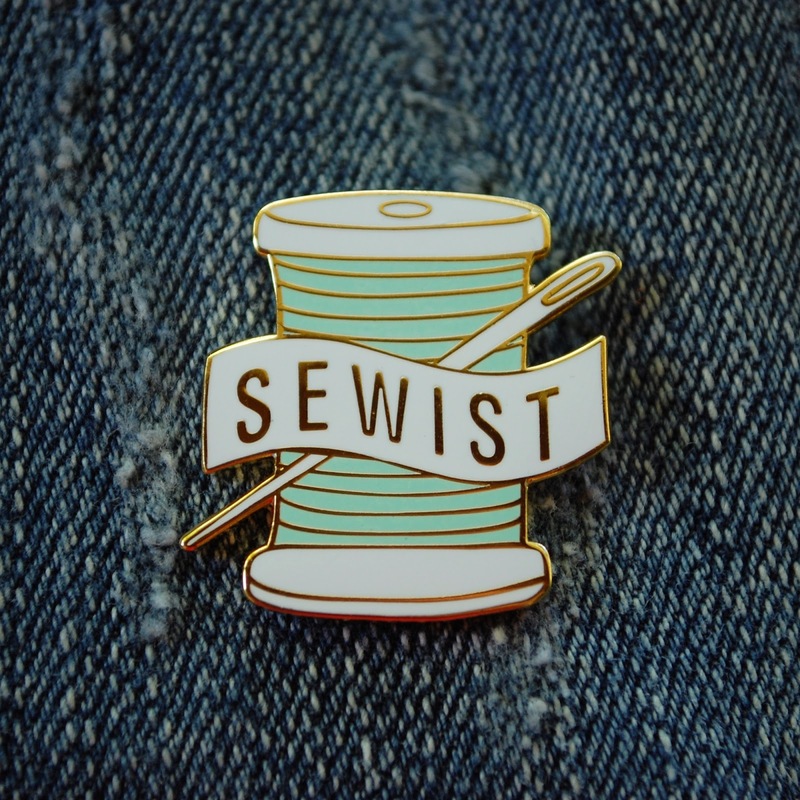 This new enamel pin from Abby Glassenberg of While She Naps proudly displays one of my favorite words: sewist! How perfect is this? I love talking about sewing to anyone who will listen, but I usually wait for it to come up organically. What a great way to share the love without being too in-your-face about it. 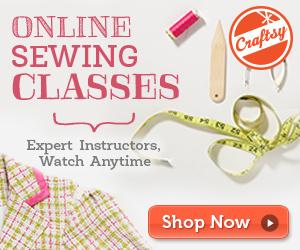 I particularly like that it's not exclusive of any kind of sewing. 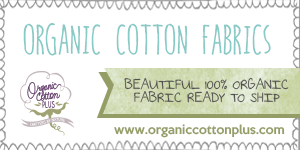 Garments, quilts, whatever you like to sew fits in with this charming pin. I contacted Abby and she kindly agreed to provide a pin for a giveaway. And of course I will be supplying a copy of the ultimate garment sewists' tool, A Sewist's Notebook. To enter, leave a comment and tell me about a time when you felt like a sewist (sewer+artist). If perhaps you're a beginner and haven't felt that way yet, tell me what you would create if you could. 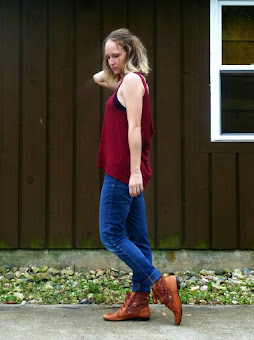 For me, I love this Grainline Scout Tee that I hacked/modified/altered into something truly lovely. This giveaway is open to US residents only. Please make sure you sign in or leave your email address in your comment so I can reach you if you win! Giveaway closes Friday at midnight eastern. Can't wait to win? 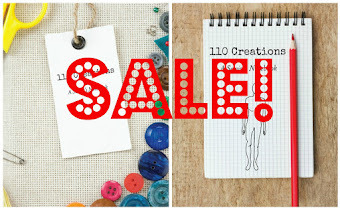 Snag a notebook here for 25% off with code AUG2016. Love this pin - thx for a great giveaway !! 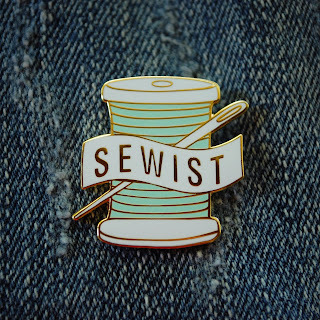 I do love to sew and even call myself a "sewist"...love that term! I feel great when I'm visiting with friends and they ask what I've created lately and want to see photos on my phone. So, I get out the phone and have to talk about each one. They all listen so intently and think I am really something special! (I do wish Abby offered her pins in other colors...would love one in purple someday! I definitely felt like an artist when I hacked a t-shirt pattern into a cocktail dress pattern, and it worked! What a great giveaway! Once I made a pair of white jeans and embroidered a cut up silk scarf on them all over the legs. The jeans eventually ended up in Altered Couture, and every time I wear them, I'm reminded of how fun it was to watch the bright silk come to life on the blank canvas of the denim. I feel like a sewist most when something I drafted from scratch turns into a wearable garment! Thanks for the give away! I felt like a sewist when I made bridesmaid dresses for my youngest daughter's wedding. I feel like a sewist when reading sewing blogs and rearranging my sewing room - at some point, I plan on actually sewing! Love this! I'm always sewing something up, but am currently working on a quilt top!